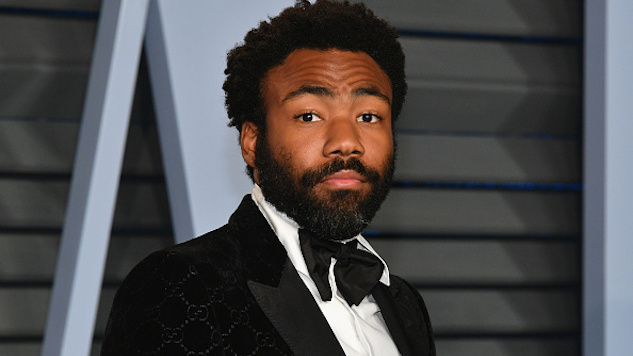 Over the weekend, Donald and Stephen Glover’s Deadpool animated series was canceled due to “creative differences” between the brothers, FX and Marvel Television, culminating in FX stating they “will no longer be involved with the project.” No further details regarding the disintegration of the project have since been released, but Donald Glover took to Twitter, a rare move for him, on Tuesday to express that he “wasn’t too busy to work on Deadpool” and post a meta-script of the canceled show that questions whether the project was canned due to racial motivations. Elsewhere in the script, Glover criticizes how comedic voices are treated differently across racial lines, and the motivations of FX and Marvel for developing the series in the first place. Glover calls out the TV network Freeform by name as “a place to be honest” and takes the time to allude to the recent police shooting of an unarmed black man, Stephon Clark, and the resulting protests during multiple Sacramento Kings games in Sacramento, Calif. Using a character named Zachariah as a stand-in for Marvel, Glover uses his Deadpool to ask why he was even given the chance to work with the character if his vision for the hero was only going to fall on deaf ears. The script also takes shots at the NRA, the Trump administration and the volatile cryptocurrency market. The entire script can be seen here, and saying it’s a shame we didn’t get to see what the Glover brothers had in store for the character following his recent cultural boom is an understatement.